In the picture above, I thank my team for all their hard work. We could not have reached this milestone without the full commitment of each and every employee, consultant and managing partner. Even old team members who have since moved on to other projects made guest video appearances to congratulate us and wish us future success. I am proud to be a part of the most diligent, dedicated crew in our field. Jovan and Nico show the rest of us how to arm-wrestle. These warriors battle back-to-back on a daily basis; it only seems right to let them grapple face-to-face every once in a while. As you can see from Jovan’s expression, my team is always in it to win it. 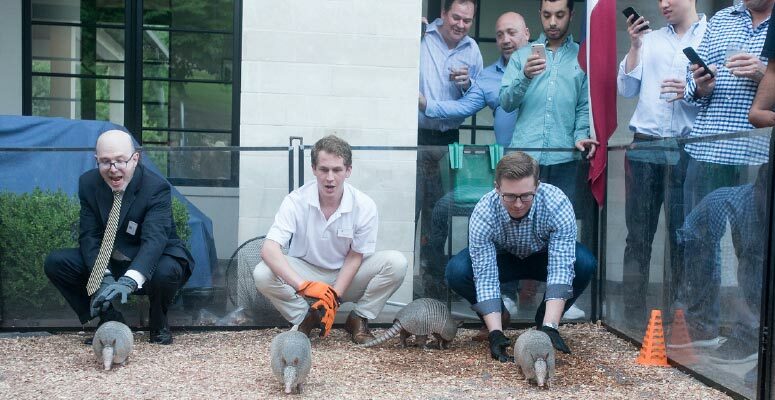 Armadillos are no substitute for our mascot, the honey badger, but these funny little creatures make great racehorses in a pinch. In Austin, we like to keep it weird. 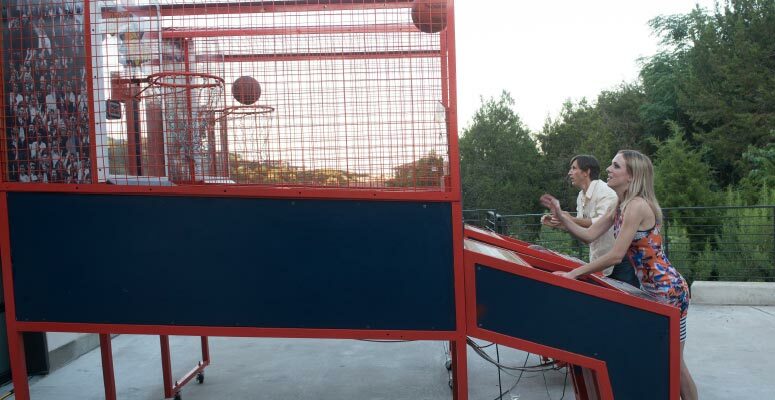 Matt Butterfield and Julie Cavanaugh shoot some hoops in the driveway. Matt has been an avid supporter of our company since inception and, as an investor, has witnessed the tremendous growth of our firm first-hand. 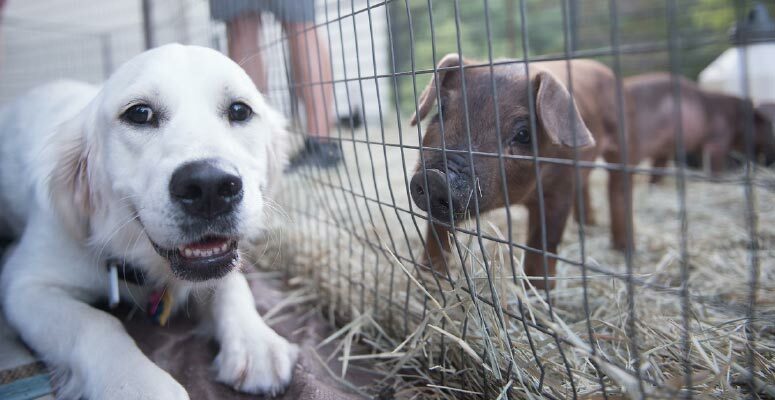 My dog Charlotte makes a new friend while I give up bacon for the rest of my life. Seriously, it does not get more precious than this. Because I am always looking ahead at the next opportunity for growth, I often forget to pause and appreciate just how far we’ve come. When we unveiled the timeline of our company’s journey, I could not help but think of Steve Jobs’ Harvard commencement speech, in which he says, “You can’t connect the dots looking forward; you can only connect them looking backward. So you have to trust that the dots will somehow connect in your future. You have to trust in something — your gut, destiny, life, karma, whatever. This approach has never let me down, and it has made all the difference in my life.” As I look backward on the last five years and “connect all the dots” that outline our achievements, I realize that my success has always been built on trust: trusting my team, trusting our mission and trusting my passion. We may work around the clock, but when you love what you do and who you’re doing it with, its not really “work” at all. It is a joy, and we are proud to share it with our partners around the world. Luke and Joe play shuffle-board in what appears to be a Rolex ad. Joe Dattolo is one of our most successful managing directors. Together, Joe D, Mark Englbrecht and Mano Fanopolos have raised over 75% of capital sourced for alternative investment clients.